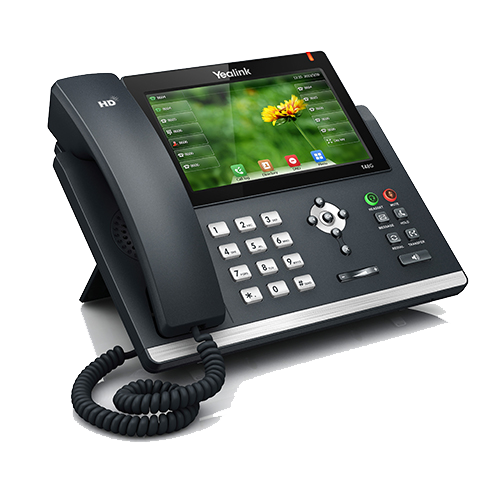 As another one of our office technology solutions, we provide VoIP phone systems for small and medium-sized businesses, replacing outdated and feature-limited legacy or analog systems with business-quality voice service. Not only are these VoIP phone systems packed with all kinds of features, including chat, voice-to-email and call cue capabilities, they're cloud based making access and use of your phone system as mobile as you are. In fact, you can say goodbye to the trouble of messing with hardware or system back-ups. Managing the phone system is only a matter of submitting a request to us and generally the same day, seeing those changes implemented. Want to learn more about what we can do for you and your phone system? Click below, fill out the form and one of our specialists will contact you.